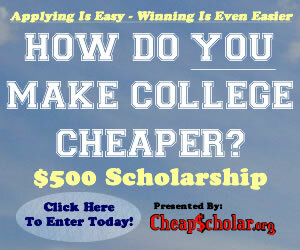 The purpose of CheapScholar.org is to provide families and their students with the financial tools, resources, and knowledge that will assist in their pursuit of a college education. Guidance/College counselors at the high school level often serve as the “front-line” for fielding questions related to college expenses. At CheapScholar.org, we hope to provide a support tool for not only you but also the families and students in which you serve. In an effort to better help you and your families, CheapScholar.org has put together this Paying For College Toolkit as a way in which you can provide quick reference information to those visiting your office (in person or online). 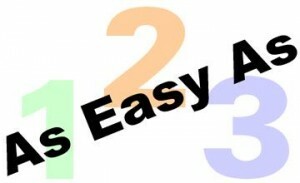 Implementing CheapScholar.org as a resource for your families is as easy as 1-2-3. 1 . 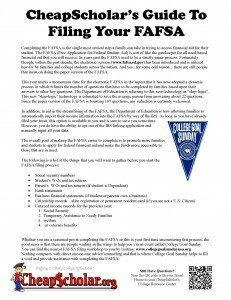 Below you will find a number of pdf handouts (sized for easy printing) referencing some of the more hot topic issues related to the financial aspect of the college experience. Feel free to print these off and use them as a quick reference resource in your office to provide to students and families as questions arise. 3. As you implement CheapScholar’s Paying For College Toolkit as a resource for your school, you may encounter additional questions or topics that are not covered by the handouts below. 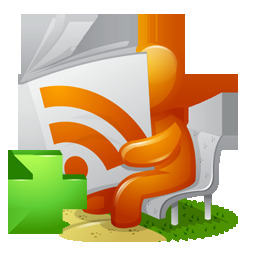 We encourage you to send us those topics/questions so that we can incorporate them in future releases of the toolkit. If you would like to receive future updates to the toolkit, please send us your contact information and we will be glad to add you to our notification list. Click here if you would like to see how one high school incorporates the toolkit into their guidance counselor website. 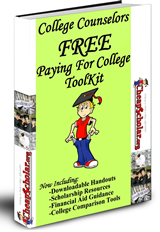 We hope that you find this Paying For College Toolkit helpful. If you know anyone else in your profession that may find benefit from this information, please be sure to share this resource with them. We are always glad to help.